This page is about a plant structure. For animals and humans, see Ovum. 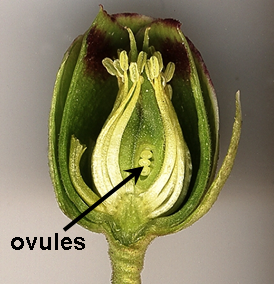 Ovules produce the cells which get fertilized during sexual reproduction in plants. The word literally means "small egg". In seed plants, the ovule is the structure that gives rise to, and contains, the female reproductive cells. The megagametophyte (also called the embryo sac in flowering plants) produces the egg cell for fertilization. This page was last changed on 19 August 2014, at 11:34.